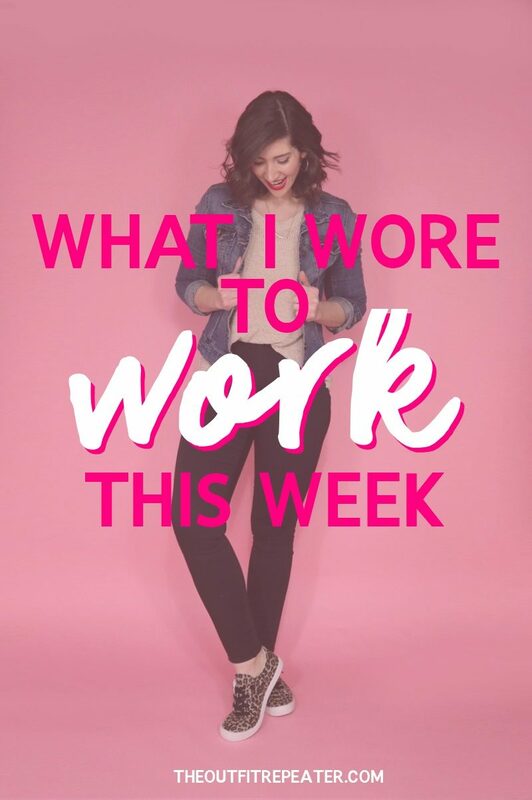 We have an unofficial motto at Maurices that says you should only wear an outfit you’d be proud to share on social media so I’m taking that to heart by sharing my outfits that I’ve worn for my shifts this week! While I’m not always able to document every single look, I’m going to try to share as many as I can. Hopefully this will inspire you if you also work in a creative environment. Exact & similar pieces to purchase will always be linked below the outfits! Some people have casual Fridays, I had a casual Monday. 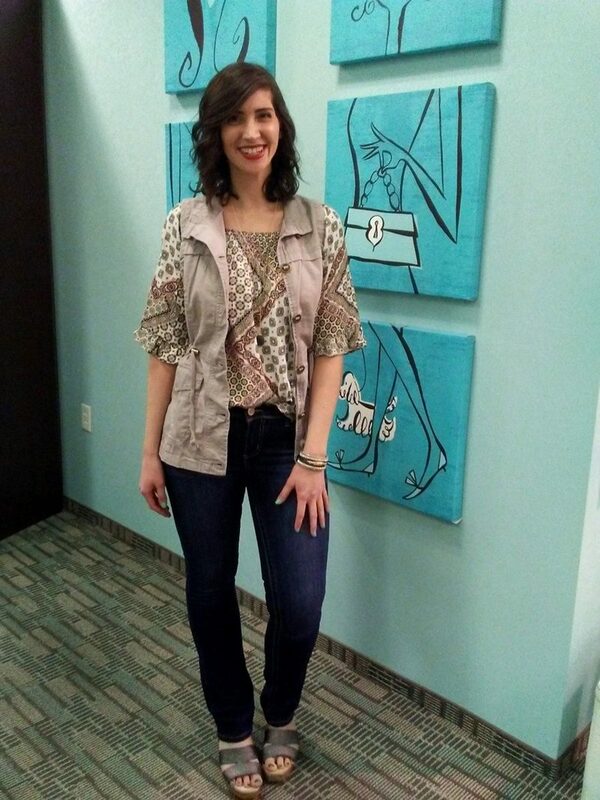 Remember when I mentioned in my last “what I wore” post that I like to mimic our trends through thrifted clothes? This outfit is a great example of that. The only true Maurices piece I was wearing are my brand new leopard print sneakers. They were so new that I had to pop the tags off before wearing them! Another week, another outfit challenge! I actually had the responsibility of leading the challenge for our district this week. My responsibilities included making the final decision of the blouse we styled, creating a video that briefed everyone on the rules, and choosing a winner from the previous weeks challenge. 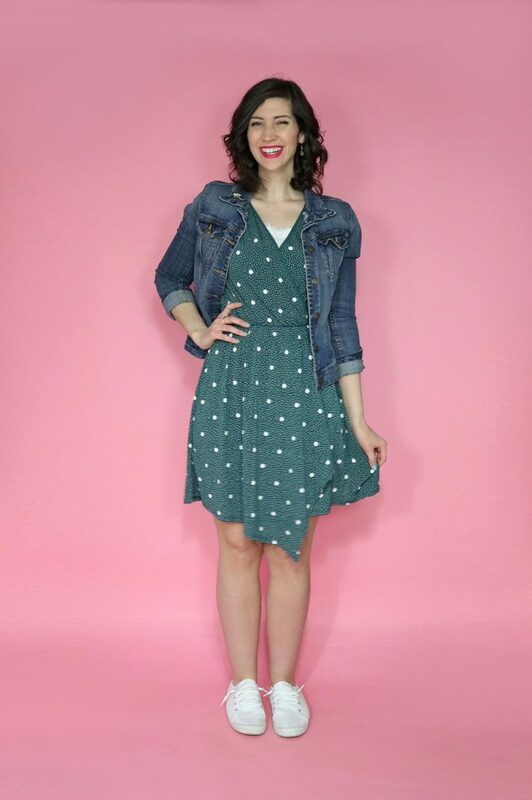 How cute is this vintage-inspired dress!? It’s so me! You might have seen how I wore it all fancy on Instagram for my birthday, but I re-wore it again for my next work shift and changed up the styling to show off it’s versatility. Just because it’s a dress doesn’t mean it can’t be laidback! I wanted to celebrate the arrival of the sunny spring weather by busting out all my lighter pieces. This look got lots of positive feedback from customers! My yellow top is actually a vintage shirt I thrifted forever ago but we’ve started carrying a similar boxy cut style in stores. It just goes to show that in fashion, what comes around goes around!